This cartogram distorts the size of countries based on the volume of hate reported to police. 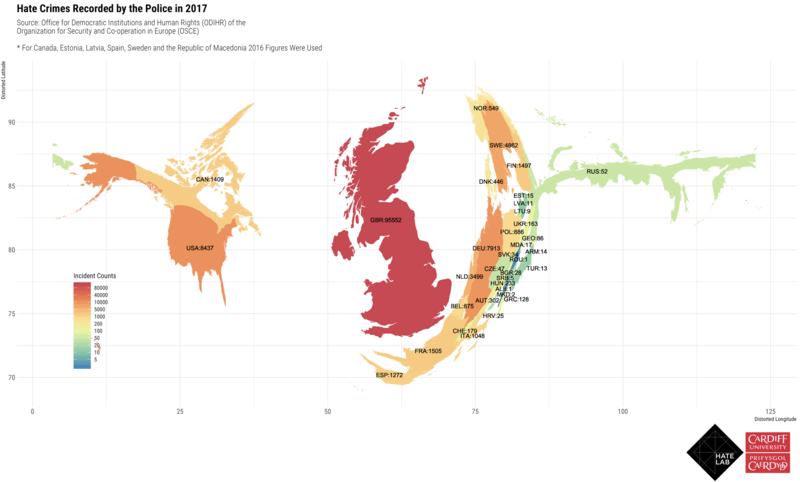 It produces a very unusual view of the world through the lens of hate crime statistics, with the UK dominating the planet, with most of Europe, Asia and Russia squeezed into a fraction of their actual size. But this is a warped lens that says more about how hate crimes are reported and recorded in different countries than actual volumes of victimisation (see choropleth for further discussion).